Fun Fact: I hiked a 14er (Mount Democrat) for the first time…three days after moving from the Bay Area’s sea level. If you are currently enrolled in physical therapy (PT) school, or attended in your past, you can probably identify with the struggle of eating healthy, stress eating, and forgetting exercise. With one exam after another, I’ve found myself eating one snack after another. And by snack, I mean chocolate-covered espresso beans, chocolate-covered almonds, and chocolate-covered pretzels. Anytime anyone mentions “free food,” my ears perk up, eyes widen, and I suddenly feel as if I’ve been starving for centuries, instantly questioning “Where?! When? !” And, when I do finally find the time and energy to go grocery shopping, I think to myself, “I’m going to get a ton of vegetables, fruits, and healthy foods only.” Yet, I end up walking out with a handful of unhealthy items, which I justify by all the vegetables and fruits I just filled my cart with (it’s all about balance, right?!). Days later, I find myself eating all those unhealthy items first though, while the vegetables and fruits start going bad. And with more stress, I seek out the fatty, carbohydrate-heavy, sugar-loaded foods for comfort and relief. When I talk to classmates, I find many are in the same boat. It’s almost as if we could use a class about how to consistently eat healthy while in PT school…or maybe just a blog post! We already learned that nutritious foods are better fuel sources for our brains and bodies, leading to improved energy, clearer minds, and overall better productivity. Ensuring proper nutrition takes self-discipline and motivation. Once you make it part of your everyday though, you won’t even have to think twice about it. Just like driving a car or riding a bike or remembering the direction of roll and glide for the convex-on-concave rule of arthrokinematics. It’s simply a matter of training the brain, or neuroplasticity, if you will. Take the time to really listen to your body and thoughts in the present moment. When you find yourself reaching for a snack, ask yourself if you’re truly hungry. Is your stomach really rumbling? When was the last time you ate? If the answer is “no” and “just a half hour ago,” then try opting for a drink of water or a piece of gum to chew instead. If you start deeply craving food, ask yourself where that craving is stemming from. What’s really causing it? Hunger? Or, stress and anxiety? If it’s stress or anxiety, then first acknowledge that the true cause of your feeling is stress or anxiety. But, don’t let that acknowledgement stress you out more. Take a minute to close your eyes and take a few deep breaths, rather than running to the cafeteria or kitchen. Try to then relieve the craving by simply changing your position (sitting up straighter, getting up and taking a quick walk, or stretching) or environment. I find that every time I study on the dining room table, I end up grabbing a snack shortly after I start, or I sit with one to begin with so I don’t have to get up later. With the kitchen so close by, there’s little time between my thought and action. Choose a study spot away from food sources so that you’re given more time to think twice about any craving that occurs and prevent yourself from fulfilling it. Find more activities to relieve cravings in the moment as well, whether it’s having quick play time with your pet, reading a short article (PT in Motion has great ones! ), or talking to a family member or friend for a few minutes. Essentially, we want to train the brain to think “this is my cue to grab water, take a walk, or talk to someone” instead of “this is my cue to eat” whenever it receives the signal of a craving or desire to eat that really stems from stress or anxiety rather than hunger. This is one of my biggest challenges. I always have a few items in mind that I need to get from the grocery store, but the rest of the items in my cart end up being in-the-moment purchases. 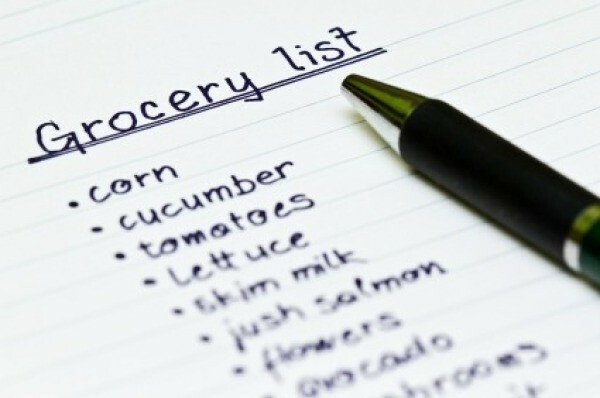 Make a solid grocery list beforehand and commit to sticking with it by grabbing only the items you need. One way to do this is to first find healthy recipes and then creating a grocery list from the ingredients. For example, I’m subscribed to New York Times Cooking, which sends me daily emails of recipes. I choose and bookmark a few healthy ones every day so that by the end of the week, I have a list of ingredients for my weekend grocery shopping trip (as well as recipes to cook for next week then!). You can go paper-and-pen style or use an app on your phone to keep track of your list. Another way is to commit to a 5-5-5 rule. Include 5 vegetables, 5 fruits, and 5 protein items on your list every time you make a trip to the grocery store (or any other area, such as fiber or a specific vitamin, that you may not get enough of). Depending on when your next trip will be though, you may have to increase these numbers. Think of your grocery list as being a grading rubric for a class assignment or a list of topics on an exam. Just as you would ensure to cover all required items for your clinical skills check or anatomy exam, and not a single more item than you have to, commit to ensuring you cover all the items on your list, and not more, for groceries as well. I know we’re all “balling on a budget,” but try to not let that be a reason you start compromising healthy foods for less nutritious ones. Order that avocado for the extra 50 cents. Don’t order that whipped cream on the frappachino simply because it comes at the same price without it. If you’re like me and are easily lured by sale items at the grocery store (who doesn’t like buy one, get one free items?! ), try to take more time to practice the previous points of being mindful and committing to a list. It’s easy to fall into marketing schemes since sales make “sense” that we would be saving money. However, it does not make “sense” to feed our brains and bodies with foods that have little to no nutritious value. This goes for restaurants as well, especially if you don’t cook at home or buy groceries often. Think back to the 5-5-5 rule when ordering still: did you have vegetables, fruits, or protein today? Create and commit to a list and find items on the menu that incorporate this “grocery list.” We’re actually lucky that our bodies already give us a grocery list of items they need for optimal functioning: proteins, carbohydrates, fats, vitamins, minerals, water, etc. Seek the specifics your body truly needs on the menu, just as you would seek keywords in multiple choice options on an exam question to know it’s the correct answer. 4. And Of Course, Don’t Forget to Exercise! This last point is more of a reminder to exercise regularly. The benefits of exercise are endless. Schedule it into your calendar as if it were a mandatory class. 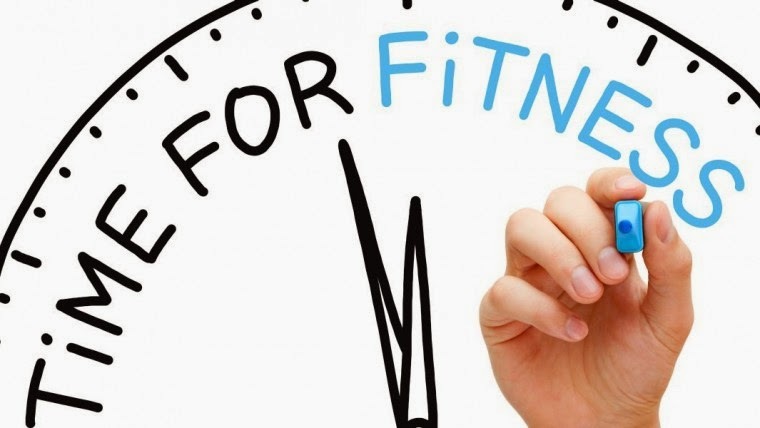 Additionally, any time you start to feel your energy levels plunge, try exercising rather than reaching for energy bars or sugary foods for a boost, even if it’s simply 10 minutes. If you’re in class and a craving or energy lull hits, try seated calf raises under your desk, flexing and extending your toes in your shoes, or flexing and extending your fingers and hands (set a frequency too!). Again, it’s about creating a healthy response when your brain gets these signals. We know exercise can cause physiological changes in more than just our muscles, specifically in our metabolic pathways. Keep moving regularly and solidifying healthy eating habits and it’ll soon feel like you never had a struggle with healthy eating, stress eating, or forgetting exercise. You won’t even have to think twice about it. Just like driving a car or riding a bike or remembering the direction of roll and glide for the convex-on-concave rule of arthrokinematics. It’s simply a matter of training the brain, or neuroplasticity, if you will…these are my foods for thought. Happy nutritious eating! What is the First Year of DPT School Like? Fun Fact: I was the Spanish Student of the Year at my high school. ¡Me encanta Colorado! I hugged my best friend goodbye underneath a star-dotted sky. They shine brighter in Herscher, Illinois, which is a farming community in the middle of the state where the lights of Chicago are but a faint, pink spot in the northern distance: in fewer words, home. That was the day I packed up everything I owned and moved to Denver to embark on my grand physical therapy school adventure. I look back at that time and consider the expectations I had for Regis University and how they have been exceeded many times over. To begin, I knew starting PT school was going to change my life, but I didn’t realize the extent to which it was going to change my mind and how I perceived the world. When Regis students begin the first semester, classes last about eight hours. I think it’s safe to say that none of us were accustomed to such a heavy intellectual load—both in breadth and in depth. At first, I was worried that I wouldn’t be able to keep up with sheer amount of material (i.e. the origin, insertion, action, and innervation of every muscle in the human body). However, Regis students will tell you that a day comes when our passions combine with our teachers’ lessons, and, by the magic of neuroplasticity (to be discussed more second semester), our brains have been primed to absorb information like those ridiculous towels you see on the infomercials. I feel like I learn eighty new things every day, and, even wilder, I have the intellectual capacity to accommodate it all. Regis creates the most competent professionals by challenging its students to elevate their caliber of thinking. Participating in the Professional Ceremony at Regis initiates all students into the DPT program. Even though Regis’ DPT program can be dense, professors are there to ensure that we persevere through the lows, and they celebrate with us during the highs. Never have I been surrounded by such a reputable group of physical therapists and scientists. I would believe that Dr. Cliff Barnes, the anatomist, created the human body himself if I didn’t know any better. I want Dr. Mark Reinking to talk to me about the shoulder forever. I will never fangirl as hard as Tom McPoil makes me fangirl when he explains the biomechanics of the ankle. Beyond their intellect, Regis DPT faculty have made me feel immensely supported in my first semester. Professors are just as eager as students to discuss individual goals, explain difficult concepts, and offer resources to aid in understanding. It has been emphasized to us time and time again that Regis selects students that they believe will succeed in becoming accomplished, holistic practitioners. Their faith in us inspires me to be an excellent—yet humble—student and future physical therapist. Yet, the most earth-shattering surprise about PT school is the relationships that I’ve formed with my classmates. I expected to make friends when I moved to Denver; I didn’t expect to be inspired by every interaction I have with one of my peers. They’re the people with whom I climb both literal and figurative mountains. They challenge me to be a teacher when they cannot find answers, and they shed light when I’m confused. I spend every day with the same eighty-one people and I know they watch over both my academic and spiritual wellbeing, as I do for them. First years celebrate the end of their first semester with an Ugly Sweater Party! When I think about going back to Illinois, I cannot wait to show my friends all I’ve learned. When I look to the future, I cannot wait to show the world the physical therapists and human beings my classmates and I will become.